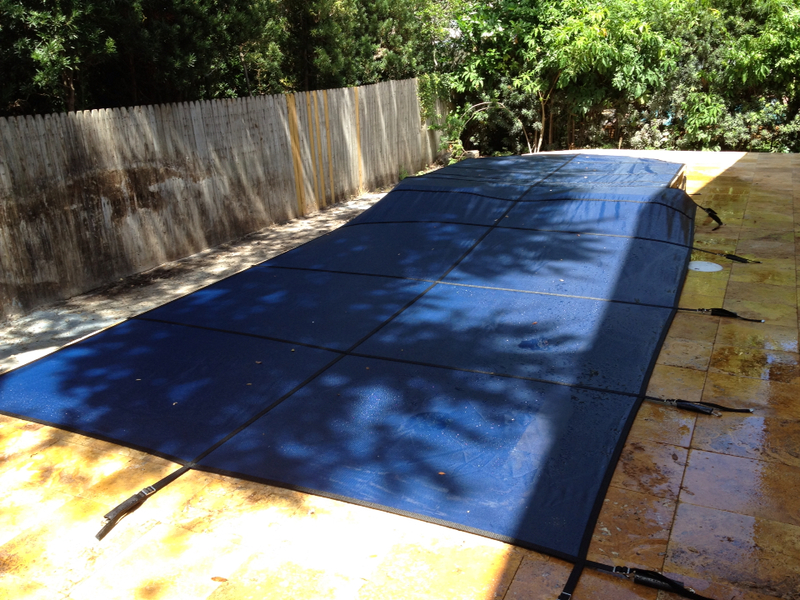 Tampa Pool Safety Covers: Keep your pool safe and keep the leaves out! perfectly ANY size or shape of pool. 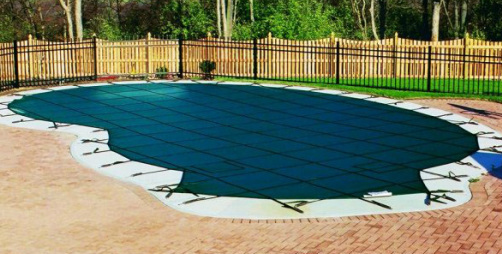 Without paying more, you get a strong, safe pool cover that meets or exceeds ASTM Standards ES1346-91 for pool safety covers, when properly installed. Pool Guard's superior hardware technology, with high performance stainless steel springs and sturdy brass anchors, makes your swimming pool covers safe and easy to use. In addition to premium materials we use, our construction is unsurpassed in the industry. For example, we were the first to feature double webbing, which is stitching both on the top and all the way underneath – not just the first 18 inches underneath like most of our competitors. We also use triple-stitched bonded threads and add an”X” and box stitch at the perimeters for extra strength. The durability of our products allows us to offer a 15 Year Warranty - 3 Years Full Coverage. Our experienced installers have an eye for safety and will take note of any unique features in your pool environment that need to be addressed. How do we produce higher quality Products at competitive prices? It starts with our state-of-the-art manufacturing facility that includes computer-aided-design and a carefully engineered layout that maximizes efficiency. A convenient storage bag, installation instructions, warranty, and cover care quide. It also includes all hardware installation pieces such a heavy-duty installation tool, tamping tool, spring covers, and Allen key. 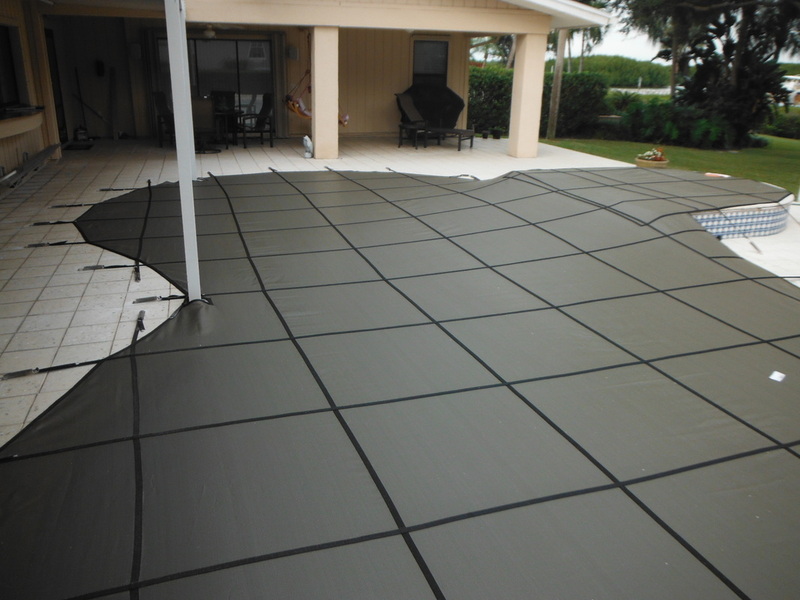 Low-maintenance, durable mesh material - Our beautiful mesh pool cover is fabricated with a unique blend of lightweight, supple polypropylene that stays dry and does not crack with age. Rain just drains through without collecting on the surface, while leaves and debris just dry and blow away. No water bags or pumping are necessary, and off-season maintenance is virtually eliminated. Clearwater pool safety cover is a great way to keep leaves and other debris out.